Steel Curtain and Steelers Country Construction Tour! KPConnection was part of a tour hosted by Kennywood and the Western PA region of the American Coaster Enthusiasts this past Sunday, April 7, where we got to see progress on the park’s new coaster and expansion firsthand! Roughly 100 people took advantage of this opportunity, and as photos from the event start to trickle their way onto the web, we decided to get our own shots to you as soon as we could. So, without further ado, let’s get to it! Let’s start with our first impressions as we entered the park, where Steel Curtain immediately makes its presence known! From the moment you emerge from the tunnel, Steel Curtain is visible all the way down at the end of the main midway. Of course, Steel Curtain is only one piece of the expansion that is Steelers Country, so a large portion of the tour was spent looking around the new area in progress. The entrance to Steelers Country will have the coaster towering on either side...quite an impression for first-timers! Perhaps the most striking parts of Steel Curtain exit Steelers Country and feed their way into the existing park, so we next got to examine the portion of the ride over the Lagoon. The zero-g stall is sure to become one of the ride's signature elements. As mentioned at Coasterbash, a new pavilion is under construction in the Kiddieland picnic groves to help make up for those lost for Steelers Country. Currently, there are plans for two more to be built in main picnic groves in the coming years. Once again, we’d like to extend a hearty thank you to Kennywood and ACE Western PA for making this event possible. Don’t forget to discuss Steelers Country on our forums, on our Discord server, or on any of our social media. Of course, we’ll continue to keep you all updated as construction progresses, and with less than a month until opening day, be sure to expect more updates then! Phantom Fright Nights 2018 Starts Sept. 28th! Kennywood’s extremely popular Phantom Fright Nights event returns this weekend for its 17th year! The event runs from 6:00 pm to Midnight September 28th through October 28th on Friday and Saturday nights plus Sunday, October 7th and Sunday, October 28th. Phantom Fright Nights was voted 5th best Theme Park Halloween Event in the country in the 2017 USA Today 10Best Readers’ Choice Travel Awards! For current pricing and tickets, see the PFN page at Kennywood.com. Feeling hungry? Sign up for the Phantom Fright Nights Pre-Scare Dinner buffet! Offered on October 13, 20, 27, and 28, a ticket will get you an all-you-can-eat buffet, PFN admission, and a pass to skip the line at your favorite haunt! Finally, don’t forget the little ones! Happy Hauntings is the perfect event for kids 10 and under who aren’t quite ready for the scares of Phantom Fright Nights. Kids can enjoy Kiddieland, Thomas Town, and a few other attractions such as the Merry-Go-Round in addition to hay rides, pumpkin decorating, and more fun activities! Happy Hauntings takes place on Saturdays and Sundays October 6th through the 28th from Noon to 4:00 pm. For current pricing and tickets, see the Happy Hauntings page at Kennywood.com. 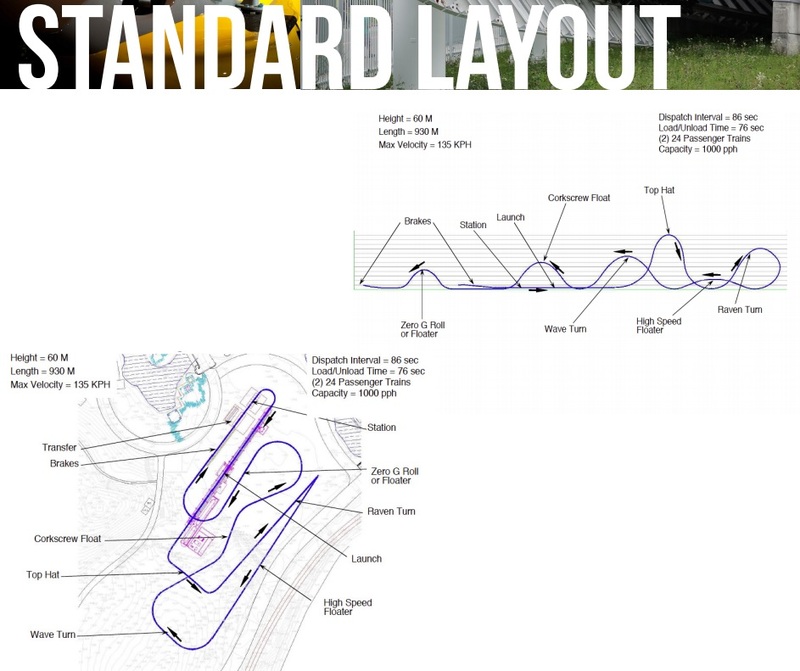 NEW in 2019: Steel Curtain Roller Coaster and Steelers Country Themed Area! On Thursday, July 19th, Kennywood made their much-anticipated announcement to reveal just what “Project 412” will entail! Read on for full details! We were there broadcasting the announcement live on YouTube to over 900 viewers… wow! Enthusiasts all over the country were excited to hear what Kennywood would unveil! In case you missed the video and wish to view it, it’s available on YouTube here. 9 Inversions… a North American record! 220 foot maximum height… a Pennsylvania record! 197 foot high inversion… a WORLD record! Here’s a few renderings of Steel Curtain to help you become acquainted with what you’ll be seeing at Kennywood next summer! Follow this link to view a POV video of the Steel Curtain rendering to get a preview of what to expect from this massive ride! Steelers Country will occupy the back corner of the park currently home to pavilions 19 through 23. Pavilion 23, the former “Whip” pavilion, will be repurposed and become the End Zone Cafe. The other pavilions will be removed or relocated. Steelers Country will feature games, food, a themed tailgating experience, and exclusive merchandise. Guests will enter Steelers Country via a tunnel, just as the team makes their entrance onto the field at Heinz Field. Here’s a few renderings of Steelers Country to give you an idea of what the area will be like! We look forward to following construction in the coming months, and hope you’ll continue to check back here, on our Steel Curtain and Steelers Country discussion thread on our forums, on our Discord, and our social media to follow the progress and discuss with us! So What IS Project 412? Here’s Our Guess! Kennywood Connection hasn’t really been known for speculation, but based on the clues Kennywood has provided in their Project 412 teaser campaign, here’s an idea we’d like to share with you! NOTE: Though our guess is based on readily available information, please note that this article does not confirm what Kennywood’s 2019 attraction will be in any way, nor is our prediction privy to any information that is not already publicly available. Please keep this in mind if you share this post elsewhere. As of this writing, here are all the clues Kennywood has provided about their new project. Nearly four weeks ago, Kennywood began sharing numeric hints about the new 2019 attraction, codenamed Project 412, on their Facebook page and other social media. The clues have been released on a weekly basis, with a bonus clue being provided last Friday in celebration of the Phantom’s Revenge being named the #3 best roller coaster in the country by a USA Today poll. If we assume that the “something big” coming to Kennywood next year is indeed a new roller coaster, then each number could theoretically apply to a statistic held by the coaster when it opens. Note the max height listed for this model of coaster, which matches exactly the first clue provided. 197 was the first clue provided, and many have theorized that the number relates to the ride’s maximum height. While other coasters (such as Soaring with Dragon at China’s Wanda Hefei park) have this exact figure as their height in feet, we found that S&S offers a coaster model whose entire catalog is capped at that height, including one currently under construction. S&S would not be a surprising choice for Kennywood’s coaster, as the park has already worked with the manufacturer who provided two very popular Screamin’ Swing rides for Kennywood Entertainment in 2006; Swingshot as well as Thunder n’ Lightning at Lake Compounce. Most recently, Palace has just opened an S&S coaster at Dutch Wonderland this year. Considering the positive feedback Merlin’s Mayhem has received, it would make sense for Palace to want to do business with S&S again. Towards the rear of the former Log Jammer site, a pit has been dug that lowers the ground level significantly. The most recent clue of 220 has confused many who believed the first clue referred to the coaster’s height. According to Roller Coaster DataBase, two of the three existing S&S Thrust Air coasters (mirror images of each other; Happy Valley Shenzhen’s Bullet Coaster and Happy Valley Wuhan’s OCT Thrust SSC1000) feature a drop very close to this statistic thanks to tunnels that allow the track to go below ground level. While we don’t know much of anything about the ride itself at the moment aside from the land that it will utilize, we have noticed some major earthmoving towards the back of the old Log Jammer site. This area has seen the ground level lowered to match the basin of the former log flume’s splash pool. We don’t know how deep that pool was exactly, but lowering the ground would provide more opportunity for a higher coaster drop, perhaps one of 220 feet, even from a max height of 197 feet if measured from a higher point. 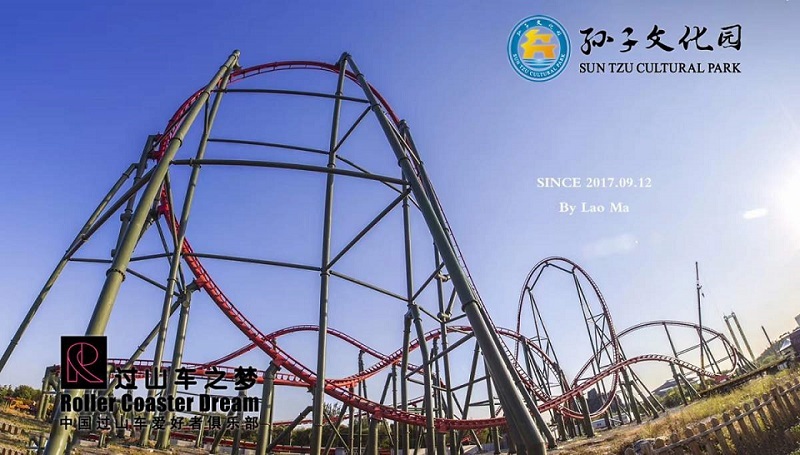 Courtesy of Roller Coaster Dream, here is Launch Coaster, an S&S Thrust Air Coaster currently under construction at Sun Tzu Cultural Park, which shares some features speculated to be present on Project 412. Here’s where things get interesting. An S&S Launch Coaster is currently under construction at Sun Tzu Cultural Park. This coaster utilizes the Thrust Air hardware, but two things are to be noted with this ride. Firstly, the ride hits the max height of 197 feet that is offered with this model. Secondly, and perhaps more notably, this coaster is the first in the line to feature an inversion; in this case, a dive loop. Nick Paradise has hinted about “loops” on Pittsburgh Today Live when asked about what will replace the Log Jammer, and this coaster demonstrates that inversions are indeed possible for this model, making it seem even more likely as a possible candidate for Project 412, while also showing that S&S is willing to modify their product (or, in the case of Merlin’s Mayhem, develop a new one entirely) to suit the needs of their customer. In other words, we may see a coaster with this hardware, but whether the ride will follow its usual specs exactly (inversions versus no inversions, launch versus lift, etc) is anyone’s guess. Given the fact that each four-across variant of the Thrust Air Coaster features 24 riders per train, we can reasonably assign three of the four clues released at the time of writing to a feature on this S&S model. That leaves us with the second clue, the number 3. This could refer to literally anything, be it number of inversions, number of trains, you name it! Finally, we have all seen the footers which have already been poured in the lagoon. Most of us assume that they are related to Project 412. However, there has been some confusion due to the fact that they don’t really lead to anywhere. 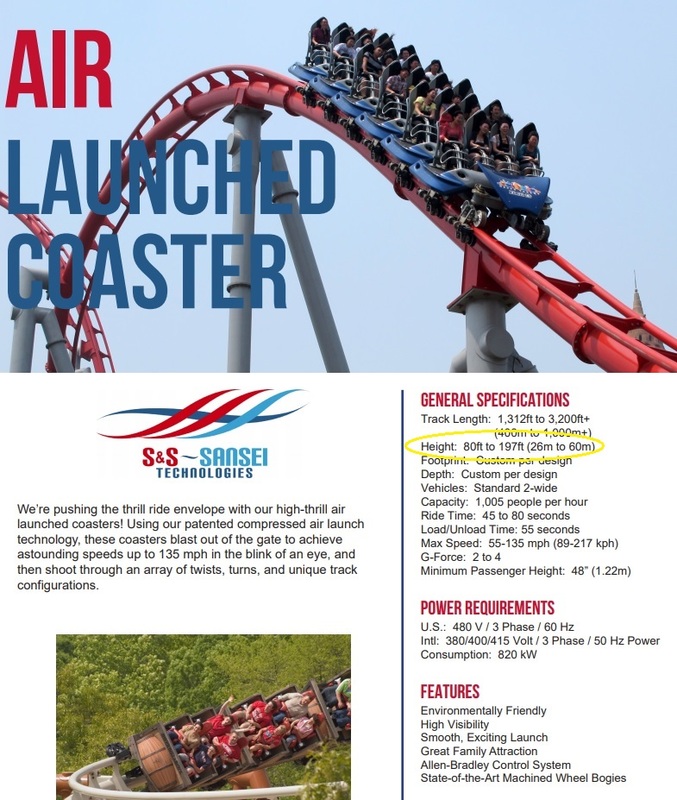 While looking at the spec sheet for the S&S Air Coaster, we noticed something quite interesting in their “Standard Layout” at the bottom of the sheet. Note the “Raven Turn” in the below image. The Raven Turn element can also be seen in the above image of Launch Coaster. Could this explain the lagoon footers? Note the “Raven Turn” element included in the sample layout on the S&S Air Launched Coaster spec sheet. Could this explain the lagoon footers? So, with the limited knowledge we have on Project 412 thus far, that’s where we think the clues point. Will future clues cement this theory further in our minds? Will they disprove it entirely? Only time will tell! At any rate, whether we’re anywhere near the right track or not even close, it’s been fun to speculate on Kennywood’s next major attraction. This is the first time in recent memory that Kennywood has employed any sort of major teaser campaign for a new ride, and the puzzle pieces seem to come together this way. Do you agree with us? Do you think we’re crazy? Let us know on our forums or in our quite active Discord Chat! Once again, at the end of the day, we’re just as clueless as you are about Project 412, but we do know two things: we can’t wait for it to be announced, and we can’t wait to experience it for ourselves, no matter what it may be! 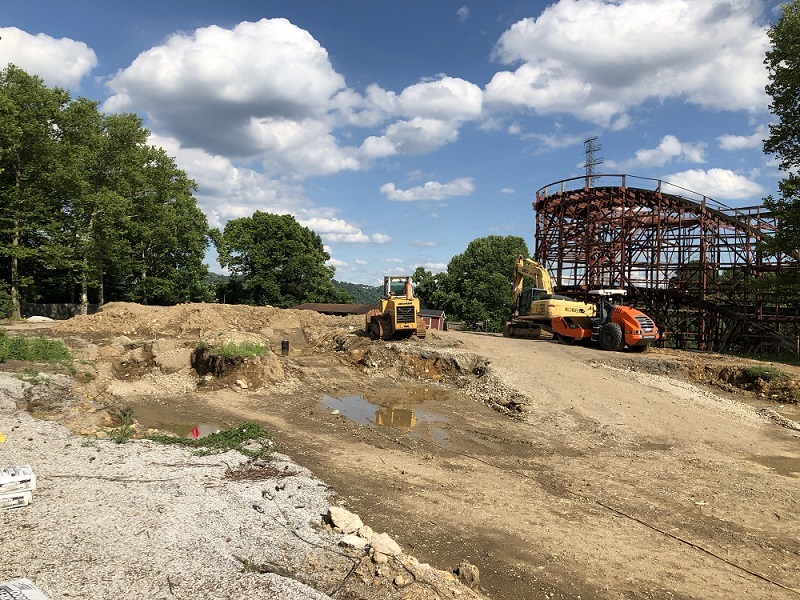 If you visit Kennywood this season, you’ll see that construction is the big story and will likely continue to be for roughly the next year. Thomas Town, announced back in February, is currently under construction with a planned mid-summer opening. There is also some mystery construction occurring at the former Log Jammer site as well as in the nearby lagoon where what appear to be possible coaster footers have appeared! We’ll keep tabs on that project in the upcoming months and post any developments here! For now, let’s take a look at Thomas Town construction which seems to be speeding along! Nick Paradise took us to the loading platform of Ghostwood Estate, where we were able to see most of Thomas Town from above. Next, we’ll move on to the former Log Jammer site to see what interesting things are occurring over there! While the park is very tight-lipped on what's going on at the old Log Jammer site, a lot of the work speaks for itself. Here's some rebar, undoubtedly to form concrete around. Finally, let’s take a look at a few other updates around the park. Tons of exciting changes are coming at Kennywood! What are your thoughts on everything going on at the park this year? Join us on our Forums or Discord Chat and let us know! Many thanks to Nick Paradise for allowing us to visit and provide you with these updates!